LONG TIME TO RUN WITH 2600MAH RECHARGABLE BATTERY - USB fan equipped with 2600mAh rechargeable battery, work about 2-6.5 hours based on different speeds. Rechargeable battery is more environmental and save energy. Charge little fan through the USB charging cable sent to connect computer, phone charger, USB hub, power bank, DC 5V charger and etc. 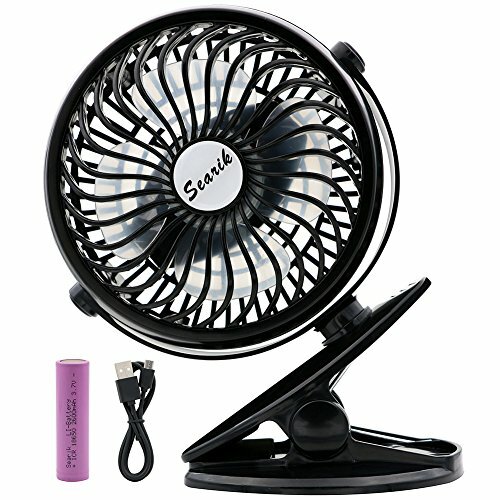 Without affecting battery operated clip fan using in the process of charging.